Linking research and educational practice for the benefit of both is not a new idea. If practice such as service-learning is a bold departure from the status quo, however, research is not just beneficial, it is critical. If schools are to become laboratories of democracy and entrepreneurship, and if students are to become engaged as partners in renewal of their communities, a research case must be made for service-learning. Does learning take place? Will other kinds of learning suffer? What kinds of practice are most effective? Clearly, solid research is essential if this transforming way of teaching and learning is to be fully integrated into American schooling and youth development institutions. The National Youth Leadership Council (NYLC) took a first step toward joining service-learning practice with research in 1983. In 1991, NYLC created a center which initiated and encouraged program evaluation, formative research that informs and improves practice, and summative studies that measure results. This volume grew out of a National Service-Learning Conference--an annual event convened by the NYLC. A day long research seminar at the conference brought together researchers to discuss the latest developments among themselves and with practitioners. Impressive in their range and rigor, their papers offer documentation and analysis useful to an emerging research knowledge base. 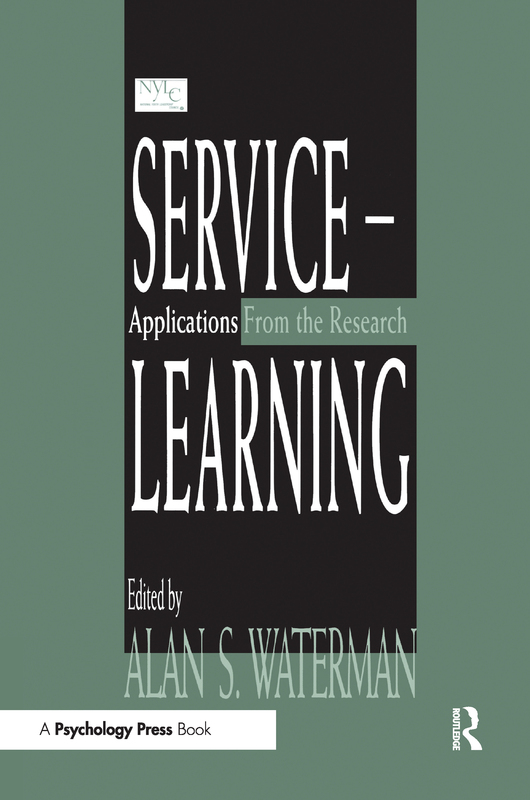 It is a starting point for the evidence needed to firmly establish service-learning for K-12 age people as a widely accepted way of teaching and learning. ByJanet Eyler and Dwight Giles, Jr.